What do you do when the biggest threat to your project is your boss? It’s not that your boss is out to get you. In fact, bosses generally mean well. But clueless leadership from a well-intentioned boss can sometimes cause more damage than a criminal mastermind tying your project to the railroad tracks. 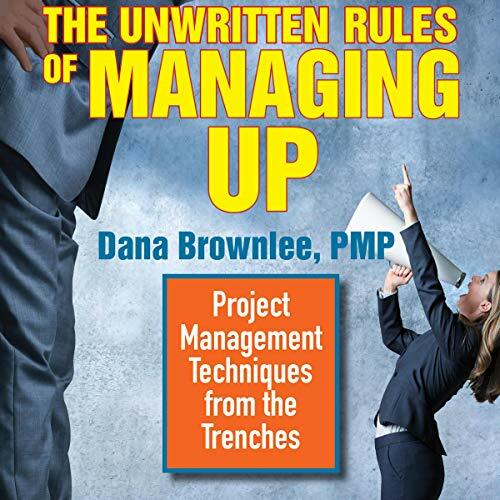 The Unwritten Rules of Managing Up provides refreshingly practical and candid insight into the best practices and techniques that project managers have successfully used for decades to manage a wide variety of senior-level stakeholders - ranging from perfectly competent and pleasant to downright dysfunctional and inept. While managing up is an incredibly valuable skill for virtually any type of boss (not just the difficult ones), the audiobook includes recommendations for managing six particularly challenging - and common - types of senior leaders. They are the bombastic tornado, who takes over meetings without realizing it; the wishful thinker, who regularly asks the impossible; the clueless chameleon, who can’t quite decide what he or she really wants (but still holds you responsible for delivering it); the MIA boss, who is just not around enough; the meddlesome micromanager, who hovers and insists you complete a task his or her way; and the naked emperor, who falls in love with his or her own crazy ideas. Brownlee also offers basic techniques to use with any boss, even a great one. This audiobook is not just for professionals seeking to enhance their workplace effectiveness, but also for senior leaders interested in addressing their blind spots and coaching others toward a more collaborative, results-focused leadership approach.